Widely recognized as one of the leading classical saxophonists in the world, Kenneth Tse is certainly one of the instrument’s outstanding proponents on any saxophone aficionado’s short list. He burst on the scene in 1996 as the winner of the prestigious New York Artists International Award, which resulted in an acclaimed debut recital at Carnegie Hall and being hailed “a young virtuoso” by the New York Times. Since then he has been a frequent soloist in five continents. Tse has been an active recording artist since his first CD for Crystal Records at age 23. 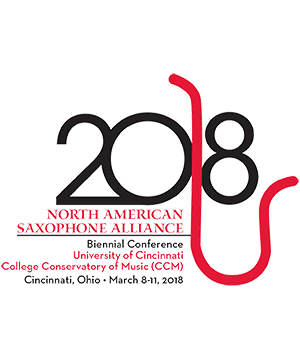 Tse is currently Professor of Saxophone at the University of Iowa, Past-President of the North American Saxophone Alliance, and serving his third term in the International Saxophone Committee as President. More information and media clips are available at www.kenneth-tse.com. Ensemble Bio: Widely recognized as one of the leading classical saxophonists in the world, Kenneth Tse is certainly one of the instrument’s outstanding proponents on any saxophone aficionado’s short list. He burst on the scene in 1996 as the winner of the prestigious New York Artists International Award, which resulted in an acclaimed debut recital at Carnegie Hall and being hailed “a young virtuoso” by the New York Times. Since then he has been a frequent soloist in five continents. Tse has been an active recording artist since his first CD for Crystal Records at age 23. Tse is currently Professor of Saxophone at the University of Iowa, Past-President of the North American Saxophone Alliance, and serving his third term in the International Saxophone Committee as President. More information and media clips are available at www.kenneth-tse.com. Casey Dierlam Piano An avid performer of contemporary music, Casey Gene Dierlam devotes herself in promoting new music. . . .